Marvel’s Iron Man VR was recently announced during PlayStation’s State of Play presentation, and we were invited to come check it out firsthand at a SF press event. Ryan Darcey, a Designer for Camouflaj Studios, spoke with me in depth about the game’s origin and its world. 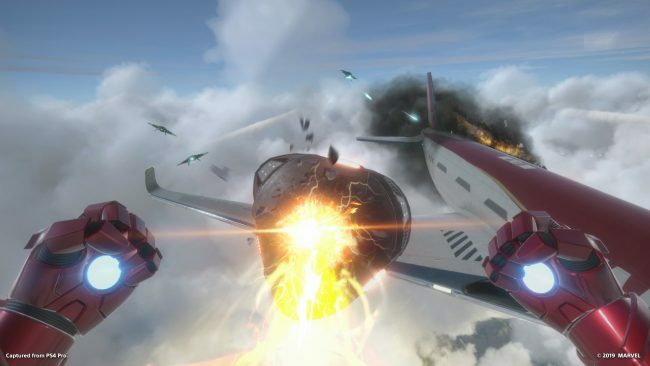 We also discussed the ways Camouflaj tried to avoid VR motion issues with a flight based game and wanted to make you not only feel like Iron Man, but actually become him. Most people know Iron Man from the epic movie series starring Robert Downey Jr. as Tony Stark. What some may not know is that the Iron Man character was first created by the late, great Stan Lee in 1963 in the comic Tales of Suspense #39. (The dude is older than I am, and I’m no Spring chicken.) The reason I mention this is that Marvel’s Iron Man VR is based mainly on the comic book series, not the Marvel Cinematic Universe movie series most know so well. The folks at Marvel collaborated on the story with Camouflaj Studios and made sure the developer’s work lived up to its standards. The Marvel’s Iron Man VR demo I played opened up with an onboarding experience to familiarize me with the flight controls and basic battle systems found in Iron Man’s suit. The game uses two motion controllers working in conjunction with head tracking and body movement to allow people to fly around while in the suit. As with every version of the suits, jets in the palm of your hands are used for propulsion. Pulling the triggers on the controller fires them off. The game tracks your hand location precisely, so you’ll have to actually learn to move your hands exactly how Iron Man would. Double tapping the triggers fires off a quick boost for a little extra speed when needed. Once I figured out the hand movements, maneuvering around was pretty simple. Once I started flying forward, the game has a wind effect that basically has lines to show the wind movement and your direction of flight. For someone who has a tendency to have issues with VR, this effect helped to keep me from having any problems. Ryan also mentioned that head tracking on a one-to-one scale and having you have to actually turn your body to turn the suit were added to also aid people’s movement. I just had to make sure to not to do 360s, as that would wrap the cables from the headset around me. I also needed to keep my spacial awareness in check, as I have a tendency to side step while I turn and play VR. At home, I have items I’ll place around me to keep me where I need to be. After the initial tutorial, I found myself (aka Tony Stark) cruising along in my private jet living the billionaire lifestyle and talking to F.R.I.D.A.Y., my holographic AI assistant. Pepper Potts joined me in my in-flight office, just as something blasted a hole in the side of the plane. Naturally, Tony’s first instinct is to jump out of the hole, while in-flight with no suit, and start falling rapidly to the Earth. Within seconds, I was sticking my arms out and watching as the Iron Man suit caught up to me piece by piece, until finally the iconic mask arrived and the heads-up display most people recognize was front and center. The whole process took maybe a minute from jumping out of the plane to using the suit for flight, and it made for a pretty smooth transition from defenseless billionaire to able-suited Iron Man. The palms of your hands double as blasters for taking out bad guys by pressing the move button with your thumb. I found myself alternating between dual wielding my hands and occasionally using thrust to maintain altitude. Small drones started attacking the plane during my demo session. In order to prevent Pepper from dying in a fiery plane crash, it was up to me to blast the drones out of sky and be the super hero she so desperately needed. The suit had a pretty good tracking system to help me shoot those pesky drones out of the sky, but I kept falling because of, you know, gravity. I finally decided to just stand on the plane itself and blast them from there. There’s nothing like wing-walking in an Iron man suit while blowing stuff out of the sky. 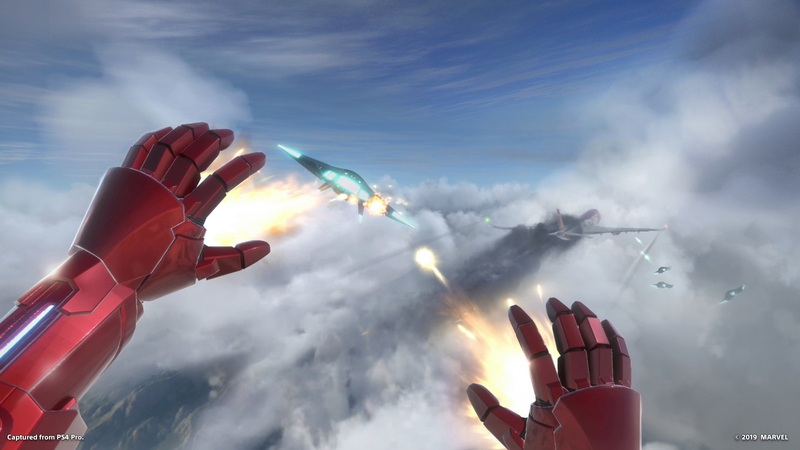 Graphically, Marvel’s Iron Man VR looked incredible. The headset can only do so much, but it still has some of the best PSVR graphics I’ve seen. All of the screenshots here aren’t from the headset, but you can see how much detail was put into the world around you. 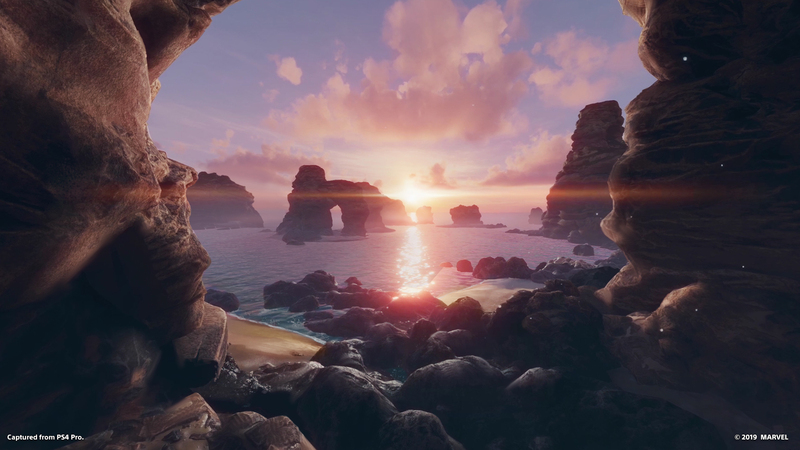 The game is already very polished and, since Camouflaj wants to create a full-length, AAA title, an announced 2019 release date should mean the developer is getting close to finishing it. The Iron Man character has been around a long time, but only a couple of games have made it to market. Marvel’s Iron Man VR aims to change that. 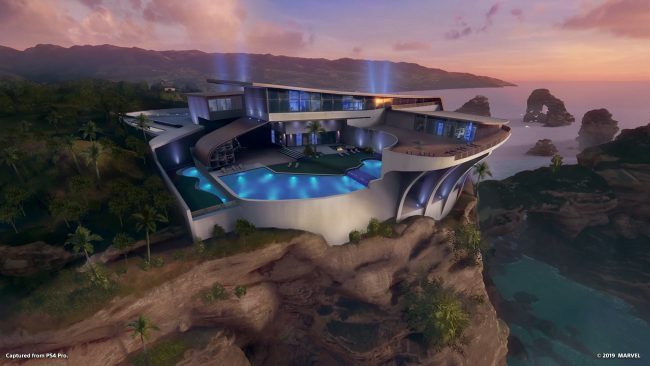 With a cool control scheme and great graphics, this Iron Man VR experience does a great job of making you feel like the super hero you want to be.